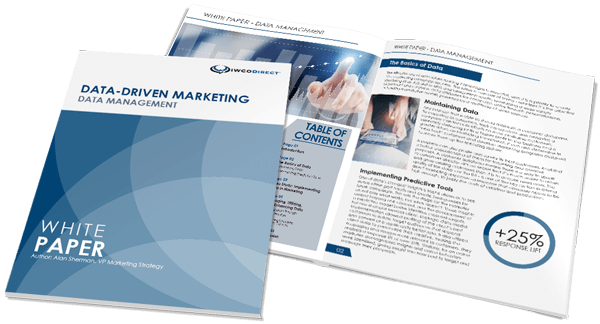 Target Marketing magazine recently published an eye-opening study, “Omnichannel Marketing: The Key to Unlocking a Powerful Customer Experience,” that detailed the state of readers’ current omnichannel marketing efforts. We completely agree with the 74% of respondents who ranked a cohesive omnichannel experience either “fairly important” or “very important” to their industry. (In all honesty, on a scale of 1 to 5, we would give it a 10.) We were even more encouraged when we looked a little deeper at the results and realized that retail marketers, who typically lead the pack in omnichannel adoption, weren’t the leading responders—healthcare and travel were at the top of the list. We’ve known for years that the omnichannel approach is right for all industries, and it seems our clients agree! When asked, I define omnichannel marketing as the utilization of multiple channels to provide a customer with a consistent and coordinated experience however—and whenever—they want to engage. Think of all the ways you interact with your favorite brands. Do they send you relevant direct mail or email? Do they offer suggestions based on past purchases? Do your actions on one channel translate to another? Can you make a purchase wherever you want? Can you interact with customer service when you want? It is not an easy task to implement an effective omnichannel strategy. Many marketers express the same challenges: not enough budget, lack of staff with the necessary skills, and limited access to the right data. Thankfully, these same marketers also have lofty goals! The budget reported in support of creating a well-rounded omnichannel experience reflects its importance, with 48% of respondents planning to increase their budget investment in omnichannel services and capabilities. The majority of the investment in improving the customer experience is being spent on improving data integration and tools. However, the staffing needed to implement those tools and enhance their customer experience is a much lower priority, with only 29% saying they’re investing in new personnel and training. That is where IWCO Direct comes in. Our team of marketing professionals bridges the expertise gap to optimize and enhance the customer experience for our clients’ customers. From introducing new channels to identifying and locating prospects based on IP address or app user IDs to finding the best way to retarget products and creative development, our goal is to increase response and decrease cost per acquisition. Many of our customers see a 20 to 40% lift in response and conversion by starting (or strengthening) their omnichannel experience with us. Our strategy includes data modeling, disciplined testing, data-driven creative development, direct mail and digital tactic deployment. With the advances in content management and color digital technology, the personalization options to retarget are truly endless. Pair this with a timely display ad, email, and app experience and watch your response improve. Learn more about IWCO Direct’s powerful tools, proven strategies, and expertise in omnichannel marketing by dropping us a line today.